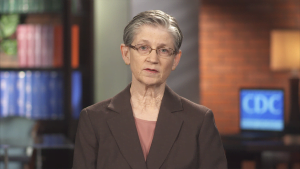 In a Medscape blog post Dr Elizabeth Unger from the US Centers for Disease Control and Prevention (CDC) talks in a 5 minute video for healthcare professionals about the CDC’s revised web content on ME. She emphasises that it’s a biological disease, the importance of validation and of preventing harm triggered by PEM. This entry was posted in News and tagged CDC, Centers for Disease Control and Prevention, Dr Elizabeth Unger, Institute of Medicine, USA. Bookmark the permalink.